Must-have elements a successful virtual assistant should have on their website. If you want to be a successful Virtual Assistant (VA), it's important that your website draws potential customers in to schedule a consultation with you. As a VA, you will rarely acquire clients straight off your website. However, your website is an example to your clients of what your work will be like. If your website looks half done, is built on a free builder, or lacks the right information, you could actually be hurting your business. Don't try to hide anything or confuse people. If you want your current and prospective clients to be able to find what they need, make it simple. Use a standard style that your audience will be familiar with and use meaningful labels on the buttons, avoiding generic labels and terms. Instead, use keywords that describe what the user will find when they click through. Every website should have a contact page, and in addition to that, your contact information should be pointed out within the content and at the end of your blog posts. You want to make it easy for people to contact you. You don't want anyone confused about how to get in touch. When someone is ready to do business with you, don't give them time to change their mind by being difficult to reach. Your website is a call to action and should have plenty of information that tell your readers what to do, where to do it, and how to do it. Calls to action need to be on your home page, within and under your blogs, within and under articles and copy, on products and service pages, on testimonial pages, and essentially all other pages. It's a common misconception to think that sit users don't look at your footer. It's an excellent place to put a shorter version of your site map, with a link to your complete site map. You can use a more expanded version of the top navigation. Also, always include information, disclaimers, any other legal links, and perhaps a way for your customers to link to your project management system. Include ways to connect to you on social media and how to sign up for any newsletters as well. Today most people are using mobile devices to access the Internet. They might click through to your information via their mobile devices, and if they cannot access the page in a way that is useful to them, they're not coming back. Don't bother with two different sites; just design all of your sites to be responsive to the browser your visitor is using. Images are of utmost importance on websites. An image can represent a point of view and elicit emotion from the viewer. The wrong images can cause your visitor to click away; the right image can cause the viewer read more. Use high quality legally obtained images from reputable sources that are professional in nature and relevant to your niche. Do not use ClipArt. 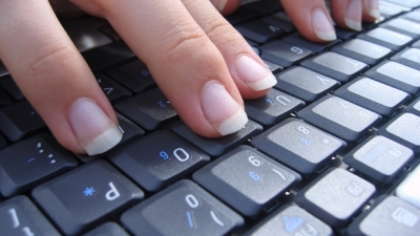 One of the challenges of creating a great virtual assistant website is to understand how people read online. People read a book from left to right, but they read a website from top to bottom. This requires that you use a lot of creative ways to include whitespace such as bulleted lists, titles and subtitles, tables, and graphics that give the readers' eyes a break as well as direct them toward what to read next. Your blog should be on your website. Aside from disseminating information to your potential and current clients, the point of your blog is to attract organic traffic from search engines. That traffic will attract people who may be looking for a VA. If your niche happens to be something to do with SEO, and a referral can't find you, it will prove you're not that good at your job. So, keep your blog updated, relevant, and on your website. Most people underestimate the power of their about page. Most site visitors will click your about page, but unfortunately many VAs neglect that element of their site. The trick is to tell your story while making it about your audience. With any sort of marketing you always start with the customers' needs in mind, creatively weaving your story throughout. Your about page is not the page to use hyperbole. Instead, stick to the facts, use compelling photos, and list your accomplishments, education and certifications. But, be sure they are relevant to the clientele you want to attract. No one needs to see your bartending certificate or even your high school diploma at this point. In addition, your about page is another great location to list all the ways that a potential client can connect with you. A lot of virtual assistants find it difficult to come up with a good portfolio page. It can be challenging to highlight your skills when they are predominately administrative tasks and hard to portray in a portfolio. Also, you don't want to show personal client work without prior approval as some of the work may be confidential. The best way to compile a portfolio is to gather work you've done for yourself or as a volunteer. You can also create work for an imagined client for your portfolio. An important resource for building your website is testimonials. Freshbooks.com has made it easy to ask for feedback on how you've done your job when you send an invoice. You can also simply send an email at the end of a project asking directly for a testimonial. Make it a habit to ask every single new client, and you'll soon have a website full of testimonials. If you have a nice list of clients, and a separate list of potential clients, you can give yourself a raise whenever you want by holding a sale or a special. Your newsletter can automatically deliver your new blog posts, and any other updates you wish to pass on to those who've signed up. Ensuring that you have a website you can proudly promote to potential and existing clients will allow for better marketing opportunities. Your website should be the center of all your online activities, including any promotions you do on social media, email marketing, and even pay-per-click marketing.